English – write a poem or create an adjective list of words which describe the sea and its creatures. Science – learn about the threats from global warming to our seaside and marine environments. Math – create an ‘under the sea’ board game to share with a friend or class mate. 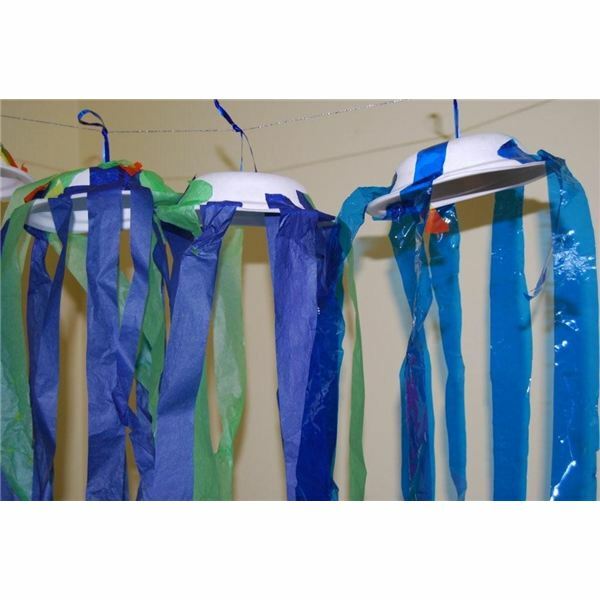 Drama – make a costume or write and act out a play script using jellyfish characters. Young students (ideally those in the Grades K-2 age group) will enjoy this activity. They love the simplicity of the theme, and the fact that it is an easy art project to complete. From a teaching point of view, your art lesson plan can be as simple or as complex as you like, depending on how you choose to extend the task into other areas of the teaching program. Even just as a stand alaone elementary art project, it is great fun. 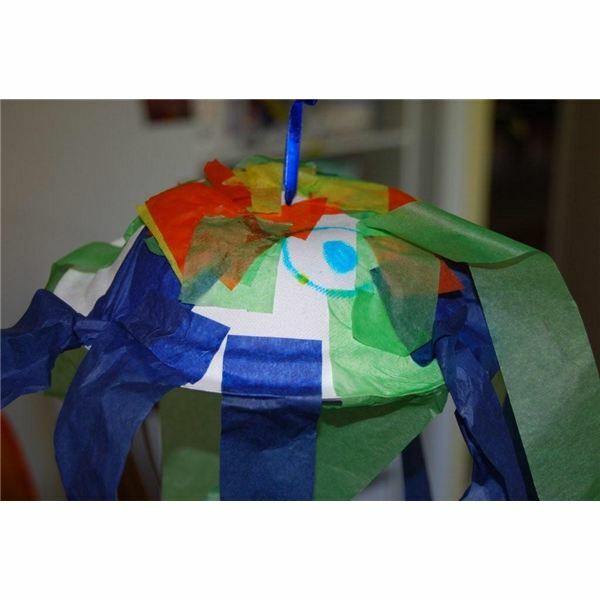 Ask students to draw eyes and a mouth on their jellyfish, or to decorate the top surface using a pattern or design of their choosing (they may like to design a sea theme using blues and greens, or draw some tentacles or other sea images). Have students paste on the legs of the jellyfish using the glue or paste – these need to be spaced out around the plate so they hang well once completed. Allow time for the jellyfish to dry. 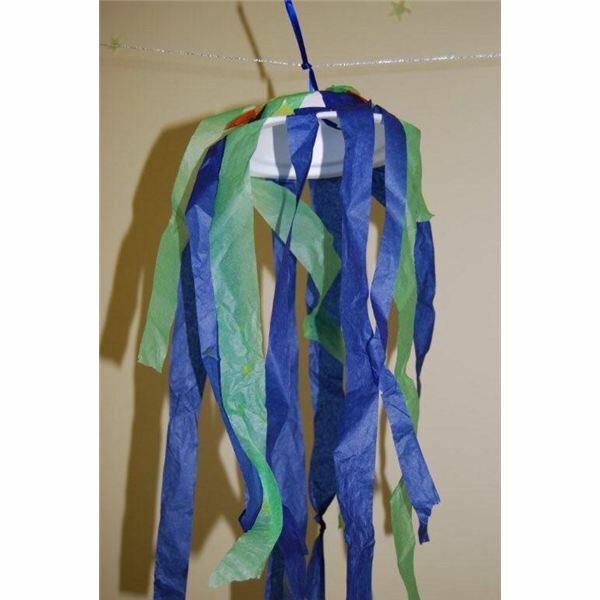 Display them as a 'jellyfish family' or in clusters around the classroom.